Overall, the past year has gone very well for Chartered Professionals in Human Resources (CPHR) Canada, according to Neil Coombs, chair of the board. One of the biggest areas the association has worked on is government relations, in responding to federal government issues. These included pay equity and Bill C-65 around harassment and violence, says Coombs, who is also a partner and principal consultant at Higher Talent in St. John’s. The national body — which represents 27,000 HR members across nine provinces and three territories — has also conducted meetings with MPs and others on Parliament Hill, he says. CPHR Canada has also been busy working with other HR associations such as the North American Human Resource Management Association (NAHRMA). “We did some significant work around developing a code of conduct for HR professionals in Canada, and that was presented to NAHRMA and the World Federation (of People Management),” says Coombs. CPHR Canada also signed a mutual recognition agreement with the Society for Human Resource Management (SHRM) in the United States, allowing for CPHRs to receive the SHRM designation, and vice versa. “That was a big win for us,” says Coombs. “A number of provinces... reported they got a lot of feedback from membership and they’re very pleased to get that designation. CPHR Canada has also been focused on establishing a working relationship with Ontario’s Human Resources Professionals Association (HRPA), he says. “We’ve met with HRPA’s chair and had some positive discussions. I’m personally pleased with the progress. As you know, ultimately, we’d love to have HRPA back at the table with CPHR Canada but that may take some time. So for now, we’re focused on ensuring that at least we’re both working in the same direction, we’re both trying to enhance the profession,” says Coombs. And CPHR Canada will continue to focus on its brand, he says. Chartered Professionals of Human Resources (CPHR) British Columbia & Yukon had a good year in 2018, with growth in membership of about three per cent, according to CEO Anthony Ariganello. That brings the total to about 5,800 people. The association has also seen strong growth in members taking on the new CPHR designation, along with solid member engagement in events. For instance, CPHR BC & Yukon held its inaugural HR Technology Symposium and Showcase in Vancouver at the end of October. The Vancouver-based group has also seen close to 400 members sign up for the Society for Human Resource Management (SHRM) designation since CPHR Canada signed a mutual recognition agreement with the Alexandria, Va.-based association. As for the push for self-regulation, there have been no developments because of the changeover in government, says Ariganello. And with the very slim minority they hold, their priorities are “elsewhere,” he says. Going into 2019, CPHR BC & Yukon will work hard at being more vocal to help government fulfil its agenda with respect to anything that’s HR-related, says Ariganello. “We created a public policy committee aimed at really supporting government on a number of initiatives,” he says, citing labour standards and temporary foreign workers as examples. The group will also be pushing out more messaging about the CPHR brand in 2019, he says. As for British Columbia, HR professionals are challenged by very low unemployment, he says. New players in the area are also both a blessing and curse. “With Microsoft and Amazon announcing new headquarters here, especially in the technology sector, that’s creating some of a concern for some HR practitioners: ‘Are we going to have enough people here, and will it drain from other organizations where people are now?’” says Ariganello. When Peter Dugandzic took over Chartered Professionals in Human Resources (CPHR) Alberta, membership satisfaction was very low, he says. The new CEO’s mandate was to improve the lines of communication between management and members about any shortcomings. “They provided the feedback, we listened, we developed a five-year plan and we began to execute,” says Dugandzic. Since then, the level of transparency around what CPHR Alberta does, and how it communicates, has been improved through various channels, he says, including quarterly reports to the board and online town halls each quarter. Over a two-year period, the association has reduced its deficit by 80 per cent, he says. It’s also increased the value proposition by focusing on professional development, with access to 300 courses through post-secondary institutions, customized courses for the regions, more than 20 webinars and a video-on-demand system, says Dugandzic. Overall engagement activity is at a record high, he says, with more than 21,000 members in total attending the various events, including upwards up 1,000 people for a single webinar. The association is also one step closer to self-regulation through an aggressive government relations program, he says. And Alberta’s economy continues to be a challenge, he says. Chartered Professionals in Human Resources (CPHR) Saskatchewan has had another busy year, according to Nicole Norton Scott, executive director and registrar. For one, the 1,200-member association introduced a newly adopted code of ethics and standards of professional conduct. “We always had one. However, (this has) a bit more rigour and detail to guide those HR practitioners because it’s for… all members that belong to the association, whether they have the designation or not,” she says. CPHR Saskatchewan also continues to drive towards self-regulation, and to work with government — as seen with an MLA reception it held in March. “It was an opportunity for MLAs to come to the legislature where we talked about who we are, about the profession, the designation, and why were seeking self-regulation,” says Norton Scott. Eighty-three per cent of members support the idea of self-regulation, according to a CPHR Saskatchewan survey in 2018. But they also want to hear more about what that means to them, she says. As a result, CPHR Saskatchewan held town halls in places such as Regina, Prince Alberta and Moose Jaw “to communicate with the members in person and talk about the board’s strategic plan and what it means for the members,” says Norton Scott. CPHR Saskatchewan also held two executive HR series events. The association also focused on professional development opportunities, along with releasing results from its HR Trends reports. “The hiring confidence index is slowly increasing in Saskatchewan — it was low,” she says. Brand reputation marketing is another goal as the association looks to boost awareness. A four-pronged attack was the strategy for Chartered Professionals in Human Resources (CPHR) Manitoba through 2018. Efforts included: positioning members as thought leaders; promoting the refreshed CPHR brand; growing the membership base; and pushing for self-regulation at the provincial level, according to Ron Gauthier, CEO of CPHR Manitoba. The Manitoba group has also worked in tandem with provincial post-secondary institutions to accredit seven HR programs, and more schools are seeking to hire CPHRs as instructors for HR programs, he says. In terms of the rebrand — which aligned the provincial body with the national association — research shows more Manitoba business leaders are now aware of the brand following heavy promotion through marketing and conferences, he says. Regarding membership, totals have now risen to 1,490 — slightly below the association’s highest level of 1,505 a decade ago, says Gauthier. The majority of the increase was attributable to both CPHR candidates and student memberships. “That really bodes well for the future,” he says. A total of 113 graduates of accredited HR institutions applied to become CPHRs last year, even as National Knowledge Exam (NKE) participation continued at a steady pace, according to Gauthier. The organization’s strategic plan will undergo a re-evaluation sometime later this year, he says. As for self-regulation, the submission to protect the public continues to rest before the provincial government, says Gauthier. Since becoming CEO of the Human Resources Professionals Association (HRPA) in Ontario in June 2018, the association has gone through a pretty major transformation, both inside and out, says Louise Taylor Green. Internally, it’s embraced its regulatory role “and made some enormous strides,” she says, citing, as an example, the work HRPA conducted on the measurement of performance of professional regulatory bodies. As a result, the association’s registrar was invited to present that work at the Council for Licensure Enforcement and Regulation (CLEAR) conference. HRPA has also conducted comprehensive organizational analysis to inform the development of a refreshed strategy, she says. “We wholeheartedly believe that the HR profession has come of age and is impacting organizations, employees and the public at large in profoundly positive ways — changing culture; enabling physical and psychological safety at work; driving change and transformation programs; strategically sourcing talent; training and developing staff and leaders; designing total rewards programs that drive performance; curating a highly-valued employee experience,” says Taylor Green. Externally, HRPA has been reaching out to its 23,266 members and the public to gain insights about beliefs and perceptions around the HR profession. It commissioned a survey that found most Ontarians have no idea if and how HR is regulated. Public confidence in HR professionals in respect of honesty and ethical standards also needs to improve, says Taylor Green. Looking ahead, HRPA’s overarching focus for the next several years is to inspire professionalism among members, she says. There are also plans for the development of a public advisory council, says Taylor Green. Refreshed provincial labour standards and a new competency framework made for a transformative year at the Ordre des conseillers en ressources humaines agréés (CRHA) in Montreal, says general manager Manon Poirier. In June, the Quebec government updated its work rules, including changes to overtime, pensions and leaves of absence, and CRHA was heavily involved in the process. The association launched a new competency framework in November, following a design process that involved 250 people from both HR and non-HR backgrounds, says Poirier. The group dug into the future of work and the profession to create a framework that will help transform HR through changes in technology, numeral literacy and artificial intelligence, she says. For now, the CRHA’s new framework differs from that of CPHR Canada, though the two bodies are working on alignment opportunities, she says. CRHA is also working with Quebec universities to synchronize programming wherever possible, says Poirier. Heading into 2019, the association is focusing on a certification program that aims to reserve investigations of incidents of workplace harassment for HR professionals, she says. A new strategic plan fleshing out ways HR can protect the public will also be unveiled this year, according to Poirier. The CRHA is also aiming to continue supporting its membership base of 10,440 with skills development and liaising with employers and managers, she says. Recruiting a new leader tops the agenda for Chartered Professionals in Human Resources (CPHR) Nova Scotia, which will bid goodbye to Sheila McLean, the group’s CEO since 2007. “Once our new CEO is in place in early 2019, we will begin working on our next strategic plan and furthering the work we have been doing on strengthening our member value proposition and enhancing the knowledge of the CPHR designation and the HR profession in the business community, as well as working towards our strategic focus of enhancing the workplaces in our communities,” says Layla Khalil, chair of the board at CPHR Nova Scotia in Halifax. Legalized cannabis was a hot topic for the association in 2018, which has 635 members after separating from the Prince Edward Island association in 2017. Just like other HR associations, CPHR Nova Scotia completed a rebranding and that has been very well-received, says Khalil. After being in business for about 18 months, Chartered Professionals in Human Resources (CPHR) Prince Edward Island is set to ramp up efforts to attract new members and better serve its existing base. The province teamed up with Nova Scotia in 2002, after starting up on its own in the 1980s, before heading out solo again in 2017. “When I look at everything we had to do, from transitioning our members from Nova Scotia over to P.E.I., that was a monumental piece of work; making sure there was continuity and files and documentation processes and then everything from the background, like setting up all the structural pieces, bylaws, constitution, HST numbers, online member-management system — there’s a lot of stuff,” says Detry Carragher, chair of CPHR PEI in Charlottetown. But the HR group was not left on its own when setting up shop, says Carragher, as other CPHR chapters also pitched in. Some of the bigger topics tackled in 2018 were setting up the certification committee, looking at the requirements around the National Knowledge Exam (NKE), and moving people through that process, says Carragher. The P.E.I. association currently has 95 members, up from 85 last year, and work on its website is close to completion. “(We are) making a few changes to the structure of the website so we can communicate more effectively with our members. We’re adding a number of other things for 2019,” says Carragher. And though the timing is still unclear, self-regulation is a main goal, says Carragher. A new partnership with the New Brunswick Community College (NBCC) is a “big win” for Chartered Professionals in Human Resources (CPHR) New Brunswick. Besides the obvious goal of providing members with increased education, the partnership should help attract new members to the 874-strong organization, he says. As well, greater integration with CPHR Canada has provided even more educational opportunities. “At the national level, our members were able to be recognized with the SHRM designation (from the Society for Human Resource Management in the U.S.), we were able to establish a partnership with them,” says Page. But the Progressive Conservatives taking over from the Liberals in 2018, and forming a minority provincial government, might be tricky to deal with, he says. The rebranding of the group’s look and feel continues, says Page, and is going quite well. And an ongoing outreach program continues to spread the message about the new branding and the association. “We’ve been doing a lot of presentations and recruiting at the post-secondary level, promoting the brand throughout,” says Page. For 2019, more partnerships are on the program, he says. For a province of its size, Chartered Professionals in Human Resources (CPHR) Newfoundland & Labrador should have more than 1,000 members, according to its president. Currently, CPHR NL has 145 members. “Our challenge is that we didn’t really grow the members’ numbers, but I think that those members are fairly loyal because the ratio of people that actually have their designation is much higher,” says Leroy Murphy. “Part of that challenge, too, is in St. John’s — that’s where the bulk of our organization or members are, but we’ve got to get out to the other areas of the province,” he says. It’s a major emphasis for 2019, says Murphy. On the positive side, “financially, things have improved” and hopefully collaborations will help this continue, he says. CPHR Canada partnerships have enhanced membership offerings, says Murphy. CPHR NL is also hoping that by affiliating with a prominent local university, it will help increase the number of members, he says. Rebranding, which started last year, has helped expand the organization’s profile, he says. But efforts to establish a self-regulation body have not gone as successfully, says Murphy. In July, Peter Tzanetakis replaced longtime leader Patrick Culhane as president of the Canadian Payroll Association (CPA) in Toronto. So far, the transition has been positive, with the CPA continuing in its advocacy role amidst multiple provincial government transitions, he says. The CPA works to influence change and then inform members about their legislative requirements and critical payroll issues, he says. The association provides payroll education and advocacy for its membership base of 20,117. In 2019, the CPA will work to professionalize payroll practitioners, putting emphasis on certification and the importance of the function, says Tzanetakis. “When things go smoothly, no one really thinks about payroll,” he says. The CPA will undertake a strategic planning initiative in the coming year, looking at changes in the economy, market, technology, and the nature of work, according to Tzanetakis. Legislative upheaval is fuelling interest in the CPA, says Tzanetakis. “Legislative change is really driving that because, at the end of the day, payroll practitioners really want to make sure they’re on top of all of the change that’s happening — and change is happening at a pretty rapid pace,” he says. For the past four decades, the Strategic Capability Network (SCN) has provided Canadian human resources professionals with networking opportunities and thought leadership. 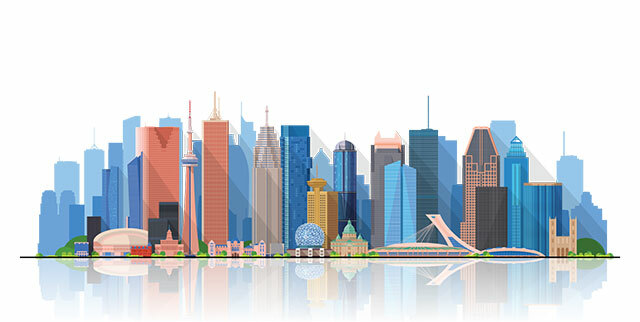 The 809-member association sees HR professionals gather for monthly sessions in both Toronto and Calgary to hear from a variety of subject experts on issues facing HR. Later this year, the network will celebrate its 40-year anniversary. Members appreciate the value offering, and extras are on the way for 2019, says SCN president Suanne Nielsen in Toronto. CHRO peer forums — groups of about 20 non-competing HR leaders — will be standardized and expanded to more members, she says. These groups meet periodically to provide support and learning opportunities, complementing SCN’s broader goals, says Nielsen. Over the past year, issues such as diversity and inclusion, the future of work and the gig economy took the spotlight at the association’s monthly meetings. Thanks to the work of programming chair Mark Edgar — senior vice-president of HR at RSA Canada — SCN’s focus continues to meet the needs of senior members, says Nielsen. SCN chapters in Ontario in Ottawa, London and Waterloo continue to operate informally, she says. And the association operates thanks to the generosity of volunteers and sponsors, says Nielsen. SCN continues to give back to the broader community, and has contributed more than $13,000 to the Daily Bread Food Bank in Toronto over the past three years, according to Nielsen. While 2018 marked the 70th year of operation for the Society for Human Resource Management (SHRM) in Alexandria, Va., a fresh look at the present and future spurred growth, says president and CEO Johnny Taylor Jr.
That included: the #MeToo movement around sexual harassment; a “very hot” economy leading to an unemployment rate of 3.7 per cent; and low national birthrates contributing to a labour shortage and skills gap. This confluence of factors created a unique opportunity for HR, says Taylor, who became CEO in December 2017. In 2018, the society gave guidance on workplace harassment, created a seven-state pilot program to develop the country’s youngest workers, and pushed employers to broaden their job-candidate pools to include veterans and people with criminal backgrounds, he says. SHRM also retooled its branding campaign — previously focused on certification — to highlight the effect HR can have on harassment, immigration, skills gaps and workforce management. Through SHRM’s campaign, Americans began to understand why HR certifications are important, says Taylor. “There is no part of us that is going away from our mission, which is our core — HR people,” he says. Membership has swelled to 306,000 following the “biggest growth year ever,” says Taylor. In 2019, SHRM’s focus will be squarely on expanding the supply of workers, he says. Employers will need to begin looking at non-traditional recruitment opportunities, such as the formerly incarcerated, older workers, immigrants, veterans and those who are disabled, according to Taylor.